Just how water-resistant is the Samsung Galaxy S7 Active? We're not sure why anyone would want to go swimming with their smartphone, but these devices often end up getting wet one way or the other. For any piece of electronic equipment, water is usually a killer. Samsung has made a point of marketing its flagship Galaxy S7 as one you can get wet and it will be none the worse for wear. 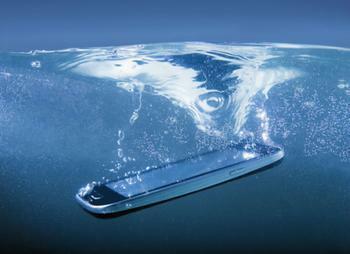 The company has said the phone can survive being in five feet of water for 30 minutes. To our friends at Consumer Reports, that sounded like a challenge, so lab technicians put the Galaxy S7 phones to the test. According to Consumer reports, the standard S7 and S7 Edge passed the test. The S7 Active, however, failed. Now, it should be noted that neither Samsung, nor any other smartphone manufacturer, claims its devices are “water proof.” Water resistant can mean different things, but generally it is assumed spilling a drink on it or getting caught outside in a downpour won't make it stop working. Consumer Reports concedes that companies using the “water resistant” claim can cite a variety of benchmarks. But it says Samsung got fairly specific with its claim of survival after 30 minutes in five feet of water. So that's the standard it used. Lab techs put the devices in a water tank pressurized to 2.12 pounds-per-square-inch to mimic a depth of five feet and and waited a half hour. When they retrieved the S7 Active, they said there were green lines on the screen, the camera lenses were obscured by tiny bubbles and the touchscreen was unresponsive. To make sure it wasn't a fluke, Consumer Reports said it tested a second phone exactly the same way and got similar results. The technicians waited a couple of days to see if there would be any improvement. They write that the screens of both phones would light up when plugged in but the displays weren't readable.